After months of intense debate over the fate and effectiveness of red-light cameras, the L.A. City Council on Wednesday delivered a final blow to the controversial program, voting unanimously to shut it down July 31. The 13-0 vote came in the wake of a backlash over disclosures that paying hefty fines for camera-issued tickets is considered “voluntary” by many city officials and because the Los Angeles County Superior Court has opted not to aggressively enforce collections against those who simply ignore the citations. Since the Police Commission decided in early June to kill the program, the issue has ricocheted through a series of City Hall committee hearings and council debates. Some council members, like Bernard C. Parks, insisted the program helps save lives and pays for itself in intangible safety improvements. Others said it should be terminated immediately. 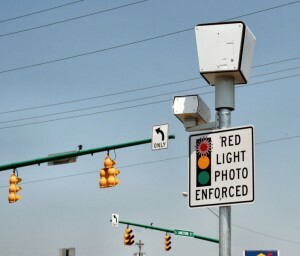 Critics noted that most of the more than 180,000 photo tickets issued since the program began in 2004 were for illegal right turns, which many experts consider less dangerous than speeding through intersections against red lights. But recent news that motorists in L.A. County can decline to pay or appear in court on camera-issued tickets without facing criminal charges, problems with the Department of Motor Vehicles or negative reports on credit scores, appeared to unite the council on Wednesday. Parks, who joined the unanimous decision, said he was “not supportive of eliminating the system” and hopes to eventually bring back the cameras. He urged colleagues to concentrate on an orderly phase-out of the full program after the photo enforcement equipment is turned off. City staff was directed to negotiate a contract extension with American Traffic Solutions, the private firm that operates the cameras. The extra time is needed, officials say, to deal with outstanding issues, including removing equipment and allowing the city to access the vendor’s records, including some 65,000 unpaid tickets. Terms of the contract extension must be negotiated, but many council members said it should be “cost-neutral” and could last six to 18 months. Much of Wednesday’s debate focused on the city’s inability to pursue those who simply ignore tickets. There has been an uproar in recent days from drivers who diligently paid their fines. Some drivers have unsuccessfully demanded refunds and contemplated the possibility of a class-action lawsuit to recover fines and fees that can top $500. Court officials have chosen not to aggressively enforce penalties for camera tickets when the recipient fails to respond. They note the tickets are mailed to a vehicle’s registered owner, who may not be the person who committed the violation. The only potential problem for those who do not respond to the tickets, officials said, would be the appearance of a delinquent traffic violation on a background search of court files. Vintage Motoring © 2019 All Rights Reserved.